During this holdiay season wouldn't it be nice to be able to donate while you shop? Remember, only purchases made at smile.amazon.com, (notwww.amazon.com or the mobile app,) generate AmazonSmile donations. Thank you davis middle school for your very successful fall food drive! Did you know you can help the Evanston Hungry Children Backpack program just by shopping at Smiths? Click on the link for Inspiring donations Program and update your preference. "#IL576" It's that easy! 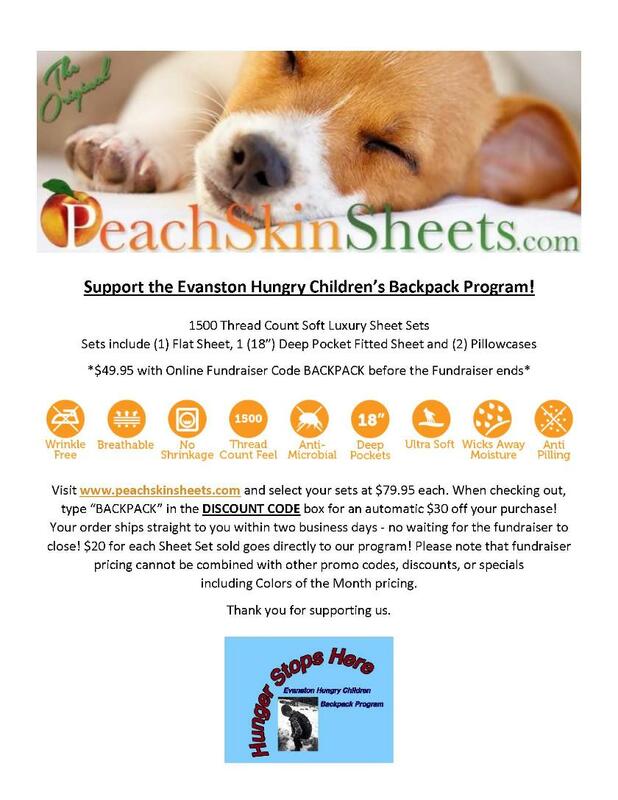 A huge THANK-YOU to everyone who supported our Peach Skin Sheets fundraiser and helping to make it so successful! We couldn't do this without you! Thank you for making a difference in our community.